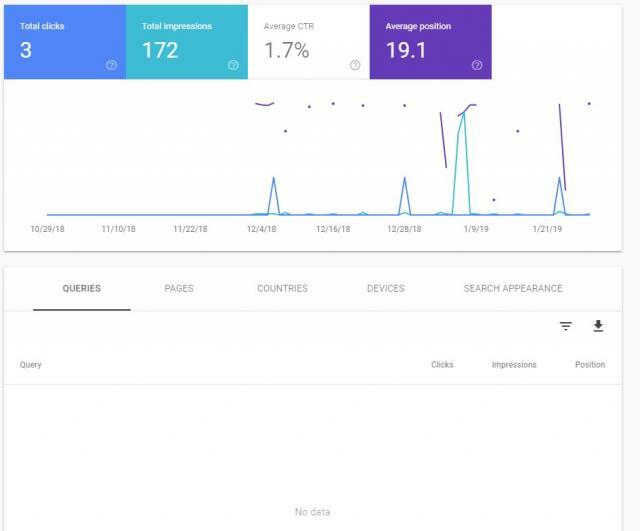 Over the past couple of days, some SEOs have been sharing some unusually looking charts from Google Search Console's Search Analytics report. 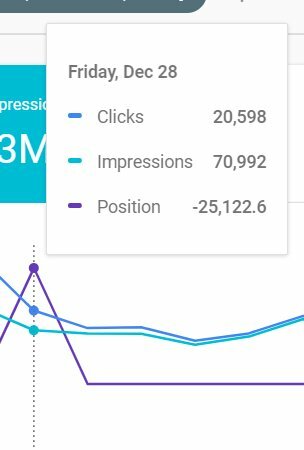 It shows negative numbers, charts that don't connect, numbers that are off, etc. John Mueller from Google event replied. If there are no impressions on those days, then there's no ranking. It would be wrong to fake it by drawing a line between the data points, and it would be wrong to have a line go down to zero on those days.